Comic book sales showed some resilience against the recession in 2009, based on The Comics Chronicles analysis of data reported by Diamond Comic Distributors. We're still bringing together all the information needed for December, so the figures posted here may require some further adjustment, but it appears from our initial estimates of comics ordered in December 2009 by comics shops that the direct market was off by only about 2% in 2009, or less than $10 million dollars. It's the first down year overall since 2000, breaking a remarkable run — but given general economic conditions, the potential for a larger drop was clearly there. December, specifically, was an off month across all categories, squared up as it was against a mammoth December 2008 that featured a whopping 119 Marvel titles in the Top 300 comics. This December Marvel again had a large impact on the charts, with 111 titles making the list, but unit sales were lower by more than a million copies overall. In a new move for December, Diamond did not slate new comics for shipping in the fifth week of the month. It's not clear how this affected sales levels across the board, but it does seem to have coincided with smaller slates making the Top 300, with Marvel, DC, Image, Dark Horse, and IDW combining for 242 slots this year, as opposed to 267 slots last year. In a first, Boom Studios had the third largest number of entries in the Top 300 comics. Last December the 300th place title had orders of 4,607 copies; this year, the figure was 3,403. It's also not clear what effect that had on orders of trade paperbacks and graphic novels, except to say that the string of poor year-to-year performances continued in this category, with dollar orders of the Top 100 trades off by nearly a quarter. The result was that while trades have helped the direct market escape down years in other months of the decade, it wasn't to be in 2009. Orders of Diamond's Top 100 trades each month were down 15%, or nearly $10 million, versus a strong 2008 total; by contrast, Diamond's Top 300 comics orders were only off 2% year-over-year in dollar terms. As a result of December's orders, overall comics shop orders of comic books, trade paperbacks, and magazines for the year look to have landed around $428 million, near 2008 and 2007's totals of $436.6 million and $430 million respectively. It's likely a further loss when figured against inflation, which was a significant factor in the comics market this year; the year closed with the highest average prices for new comic books in history: $3.59, beating the old record by several cents. Diamond also released a Top 25 Small Publisher list that added two data points just below the Top 300. The average comic offered in the Top 300 cost $3.59; the average comic ordered cost $3.57. Both are, as mentioned, records. The median price — the middle price of all 300 comics — was $3.50. $2.99 was again the most common price of comics appearing in the Top 300. The average comic book ordered by retailers in 2009 cost $3.44, an increase of 19¢, or 6.8%; this is the largest year-to-year increase in the Diamond exclusive era, which began in 1996. 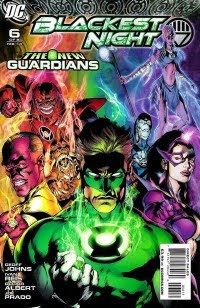 Again, there may be some revisions ahead as we refine our estimates — and changes have already been made to the top comics of the decade chart, as Blackest Night #1 and other 2009 issues have racked up more sales. The Overall figure is also a little fuzzier this year because, as has been written in several past market reports in 2009, the year saw several deep-discounting promotions where graphic novels worth several millions of dollars at retail entered the sales stream near or below publisher cost. Our estimates have included adjustments to the overall figures for purposes of fair comparison, so in fact the dollar value of books entering the direct market retail stream is slightly higher than that reported above. Finally, it's important to remember that the figures represented here account for only a portion — though the largest one — of North American comic book sales. Bookstore sales of collections, which should be known soon for 2009, are expected to contribute another couple hundred million dollars — and there are also relatively smaller amounts that come from newsstand and subscription sales of comics. It's possible that those combined could push the year ahead, but we rarely know the figures with enough exactitude to say. What's ahead? While January has been the first part of a historically weak quarter for the industry, there are a number of what Comichron calls "icebreakers" slated for the period, such as Marvel's Siege, which launched the first week of the year. There have been a number of strong winter events over the last decade and a half in comics; we'll see if there's enough ammunition out there to prevent the usual slow start to the year. The monthly Flashbacks column will follow shortly — and Diamond's 2009 Top-Sellers and Market Share charts are expected soon as well. Stay tuned! Update 1/13: Brian Hibbs reminds that Diamond's warehouse move resulted in erratic reporting starting in the first part of the year, something we relayed at the time. It's unclear, according to Brian, how many orders were ultimately unaccounted for during the change; possibly enough to move the needle and change the outcome for the year. Publisher data available to Comichron doesn't suggest much missing, but as Brian says, the error may not be present equally in all publisher's stocks. These things always have some margin of error, so we might consider that this year's could be larger than most — as noted above, it already is, thanks to the amount of deep-discounted material retailers ordered. I'm aware of the warehouse move -- it did put a dent in reported trade sales at the time. Although I did see some degree of catchup, the problem is that we don't know what we don't know. I have publisher data that squares up well, but they may be, as you say, publishers that didn't have SKUs lost. There should always be some margin of error in any year -- we just don't really know how big this one's should be. Another big impact, as I've written about, is that there's a large volume of merchandise that went through the system that did not show up in Diamond's Top 300 trades lists or show much impact in the dollar shares -- because those shares are wholesale, and the books were blown out. (GUNSLINGER BORN was basically free in one promotion.) So that's already something where I had to make a judgment call and say that, while that much more merchandise was out there for retailers to sell, a copy bought at 95% off was not the same as one bought at regular discount. Counting that material, as I said, we probably moved more in retail dollars. Actually forget that, there were 53 shipping weeks in 2008 (beginning and ending on Wednesdays), 51 in 2009, so the figure is more like 3.8%. Interesting point -- though it might not always work that way, as we've seen some years where the last week of the year was lumped into the next year's data, owing to how the warehouse defined its shipping calendar. Some have said that the number of ship weeks in a month doesn't matter, that the offerings get spread out -- but I don't really agree with that. I think the additional weeks give more opportunities for books that aren't scheduled for shipping in that period to ship. So whatever the publishers intended to ship in that month, there will always be something extra -- and more extra things in five-week months than four-week months.